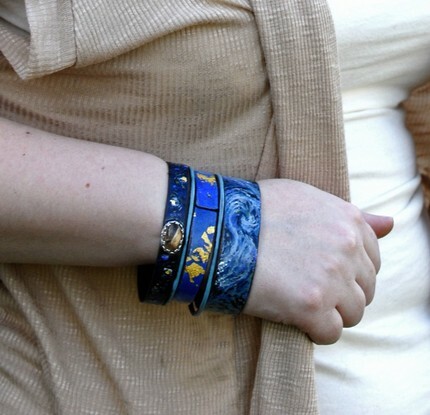 I’m very excited about these bangles! Vincent Van Gogh has long been one of my favourite painters and I think that his style translates well into enamel. The saturated tones of his work and the extraordinary use of contrasting color and shape draws an immediate response from the viewer. There is an emotional content in Van Gogh’s work that resounds far beyond the subject matter. 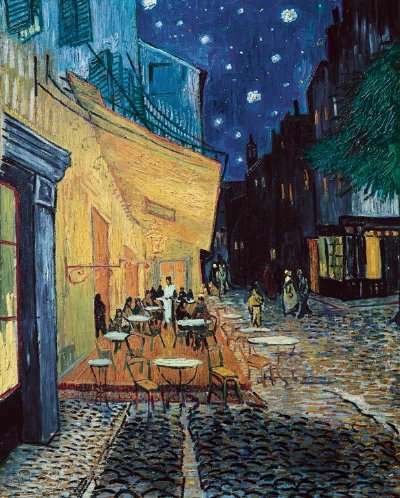 Who else could make a Cafe seem so charged with tension – or a night sky appear so hopeful and caressing and tranquil? Van Gogh was actually considered a failure in his lifetime, and suffered from extreme anxiety and mental illness. He was very close with his brother, Theo, and though his letters, much insight into Vincent’s life was preserved. Vincent once explained that painting eased his anxiety and relieved his depression – and from looking at his later paintings, it is clear that Vincent was optimistic and concentrating on a healthy outlook. 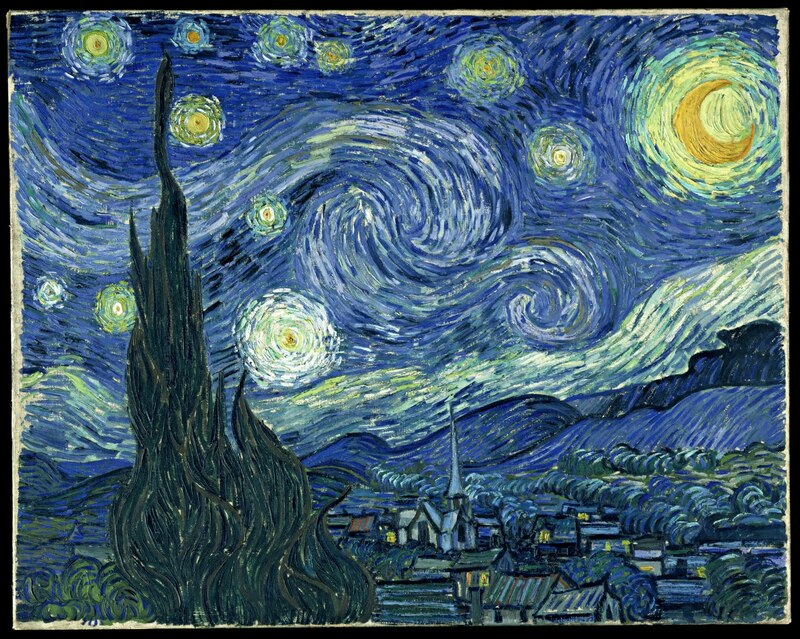 Many of his paintings from this time incorporated swirls – like the clouds in Starry Night. It was only after his death that Van Gogh’s work became recognized as a foundation for modern art. His peers later described his work as “genius”, and when you peruse the list of most expensive paintings ever sold, Van Gogh’s “Portrait of Dr. Gachet” is in the top five. 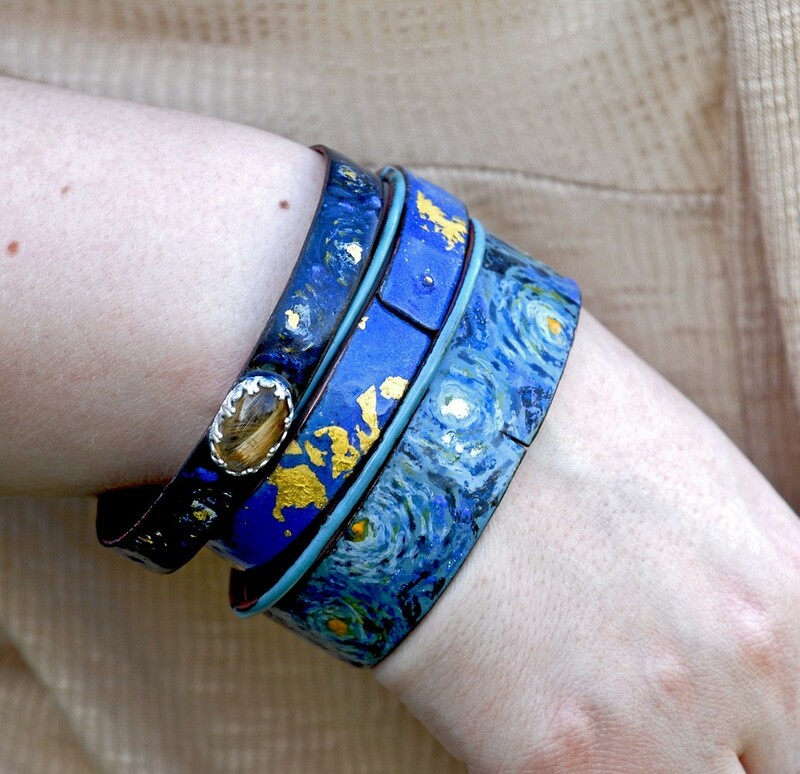 The Starry Night bangles were made using watercolor enamels and crayon enamels. Both of these are applied like a person would use any other watercolor or pencil, but are fired into the surface just like a powdered enamel. The addition of rutilated quartz cabochons by stone cutter Greg Genovese, brings out the golden, glimmering effect of the 24 Karat gold foil stars. The next set in the works is Monet’s Waterlilies . 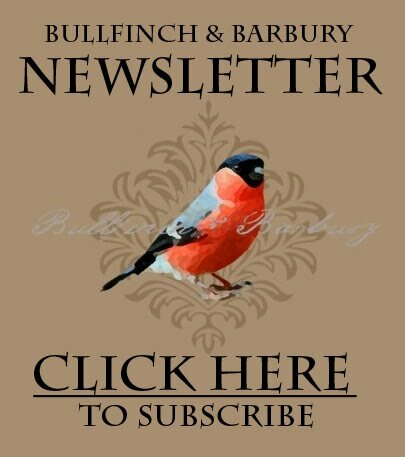 . . Do you have a favourite Impressionist that you would like to see in bangle-form? Please leave a comment with your suggestions! >i CANNOT afford for you to make stuff inspired by Van Gogh. do you have any idea what you are doing to me?! >oh such wunderful pieces and the inspiration from Van Gogh is very clear and good.